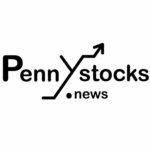 Vancouver, BC — October 30, 2018 — InvestorsHub NewsWire — MGX Minerals Inc. (“MGX” or the “Company”) (CSE: XMG / OTCQB: MGXMF / FSE: 1MG) is pleased to report that engineering partner PurLucid Treatment Solutions (“PurLucid”) has deployed the first advanced wastewater treatment system in Alberta. The customer will pay C$35 per cubic meter for evaporator blowdown wastewater (“EBD”) processing. Delivery of first EBD wastewater is expected to occur on November 13th. The system, capable of processing 5 m3/h, is expected to operate at full capacity. The system will take highly concentrated EBD wastewater and treat it to a level suitable for reuse or standard low-cost disposals of clean liquids and physical solids and particulate. The system will provide significant cost savings for the customer. Deployment of this system represents the first scheduled system for installation. The second installation will be a high temperature 10m3 per hour system in approximately 2 months. This system is currently undergoing flow testing at PurLucid manufacturing facility in Calgary, Alberta. The water processing rate is expected to also be $35 per cubic meter for waste disposal and the system is expected to operate at full capacity. The technology provides superior treatment outcomes when compared to conventional technology and can do so without cooling water first. This will result in significantly less energy use for water treatment and also eliminate the single major operational challenge of a steam assisted gravity drainage (“SAGD”) facility, which is heat exchanger fouling. A third system is currently in fabrication and is a larger-scale version (20 m3/h) of the first system intended to treat one-through steam generator (“OTSG”) boiler blow down. Due to the requirements of N.I. 43-101, the Company cannot project or comment on mineral extraction revenue from wastewater, if any, until a PEA, PFS, or actual mineral sales have occurred. MGX has developed a rapid lithium extraction technology eliminating or greatly reducing the physical footprint and investment in large, multi-phase, lake sized, lined evaporation ponds, as well as enhancing the quality of extraction and recovery across a complex range of brines as compared with traditional solar evaporation. This technology is applicable to petrolithium (oil and gas wastewater), natural brine, and other brine sources such as lithium-rich mine and industrial plant wastewater. The technology was recently chosen as winner of the Base and Specialty Metals Industry Leadership Award at the 2018 S&P Global Platts Global Metals Awards held in London in May (see press release dated May 18, 2018). The Company has also been selected as a finalist for the 2018 S&P Global Platts Global Energy Awards- Emerging Technology and Rising Star- to be held in New York City in December. For more information on the event visit https://geaweb.platts.com/Finalists/Finalists2018.